In case you didn’t know, EA Sports has rolled out the EA Sports UFC 3 beta to everyone on the PlayStation 4 and Xbox One. While there’s been refinements and changes in terms of how striking and the ground game works, it seems the visuals might not have been as improved. In the video below by Cycu1, we get to see a side by side comparison of EA Sports UFC 3 vs UFC 2. For reference, UFC 2 was released in March of 2016, with EA Sports UFC 3 set for release in February 2018. Also of note, UFC 3 is in beta, so there is a chance that we aren’t seeing the final version of the graphics, though that’s highly unlikely. Check out the video below to see which one looks better. 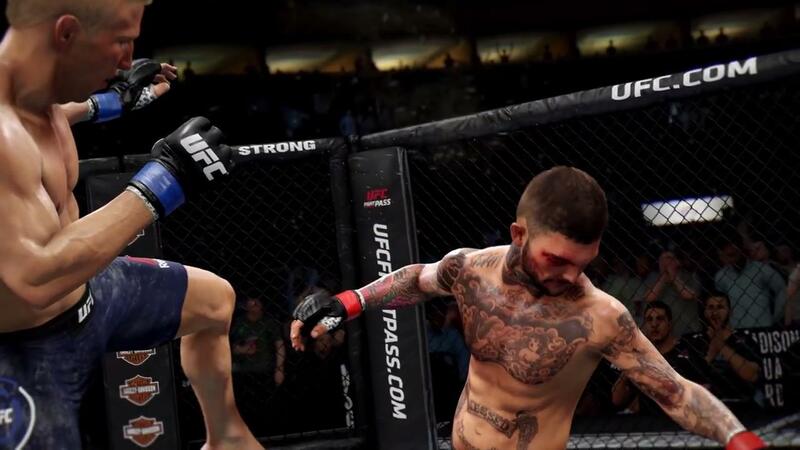 According to EA, UFC 3 uses the publisher’s “Real Player Motion” (RPM) animation technology with “over 5,000 new animations built from the ground up.” Can you spot the difference? I honestly can’t. If you can, share your observations how UFC 3 looks better. Stay tuned to our EA Sports UFC 3 beta impressions hitting the site soon.